Okay here is an admission... 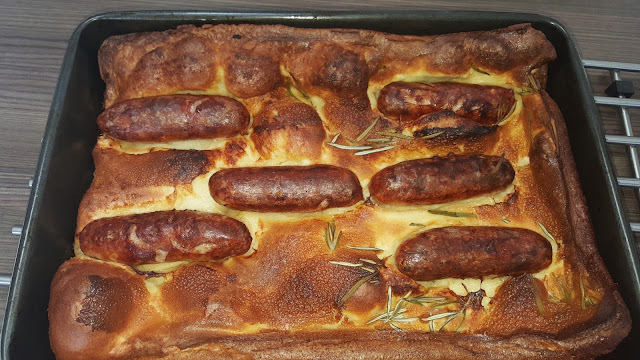 I have never made my own toad in the hole before. Yes thats right I have also never made Yorkshire puddings from scratch! The first thing I did was read approximately 20 recipes. They all had slightly different ways of making the Great British classic. Here is my version mixing and matching various elements from some good looking recipes I read. How did the dish get it name? A quick google.... Most suggestions are that the dish's resemblance to a toad sticking its little head out of a hole All I know is it it comfert food at its best. Some recipes stated resting the batter for 30 minutes others a couple of hours and two overnight. Recipes used a Milk only, Milk/water, Milk/ sparking water and even a milk/ale combination for the liquid. I went for milk this time. 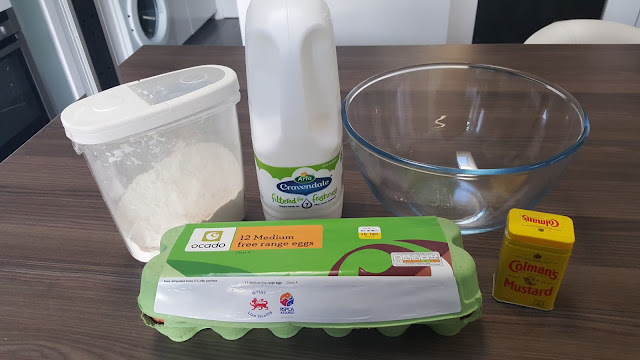 I opted for over night and made my batter the day before and placed in the fridge. 1. Combine the flour, eggs, milk, mustard and the salt and pepper, blitz until smooth, then leave to rest overnight. 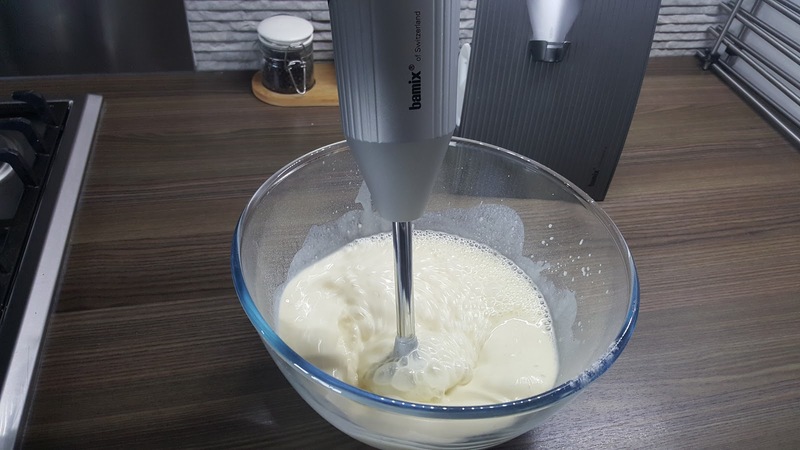 You can use a whisk, food processor and blender to mix. I used my Bamix with the whisk attachment. 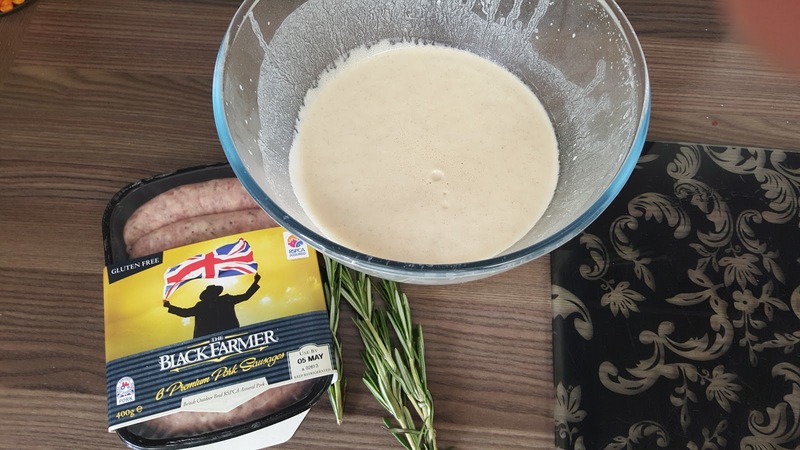 3.On a low heat cook the sausages in a frying pan on all sides until nicely browned. 4. Pour the oil into a deep metal roasting tin. Brush the oil all over the sides and bottom, then place in the oven. When the roasting tin is very hot and smoking. 5. Stir the batter and pour into the really hot tin – take care! Quickly place the saauages on top and sprinkle over the rosemary, then place in the middle of the oven. Do not open the door for 25 mins!!! !then check – if needed, cook for a further 5-10 mins. Cook until puffed up and brown and the batter is completely cooked through. 6. 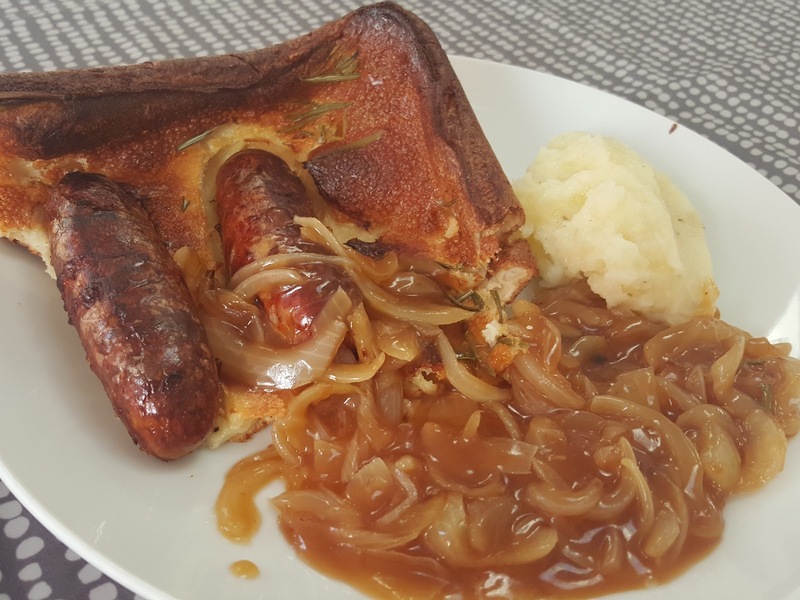 Enjoy with Mash, Veg and Onion Gravy!